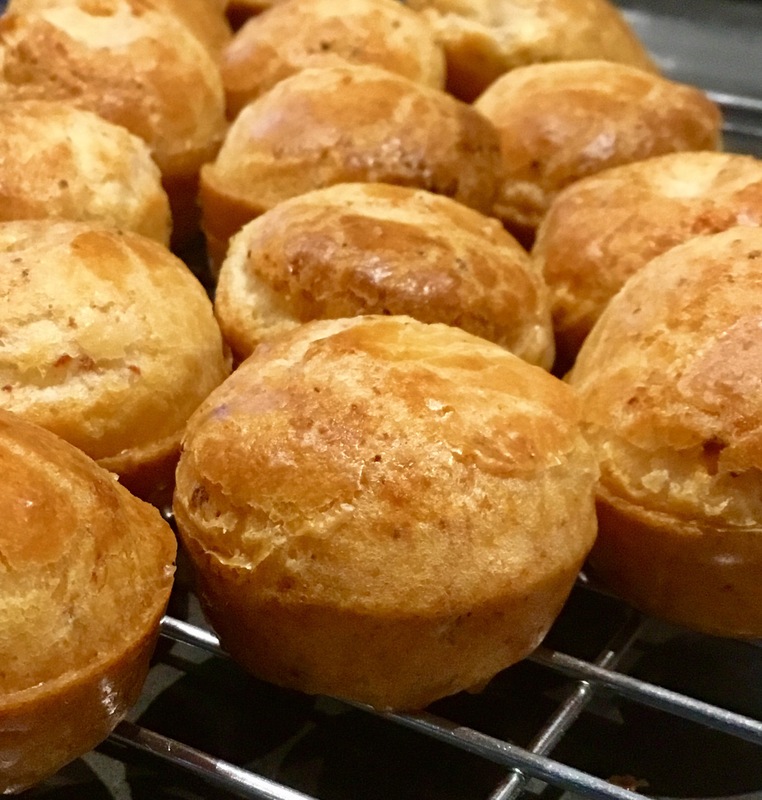 I have shared my cheese puff recipe before but these combine two of my all time favourite foods. These little gems are crispy on the outside, slightly gooey on the inside and utterly delicious! I like to use a smoked bacon as it gives more flavour. Makes 48-60 mini muffin sized puffs. Leftover batter happily lives in the fridge for 48hours. Over a high heat, fry the bacon until crispy and the fat has rendered. Spoon the cooked bacon onto some absorbent kitchen towel and squeeze to get as much fat out as you can. Place the bacon in a food processor and pulse to create bacon crumbs. Now add all of the remaining ingredients and whizz to form a thick batter.